We talk a lot about hot brew methods here at Roasty Coffee, but did you know you can brew your coffee cold without hot water? Cold Brew Coffee is a great way to make coffee that can be served cold and enjoyed in a variety of ways that even the snobbiest of coffee drinkers can’t deny tastes good. Sure, when you make your hot brews, you may not want to add anything to it, but if you want something cold and sweet, why not make sure it has coffee in it, too? I know I can’t think of a reason not to add coffee. If you have never made cold brew coffee in a French Press before, then we suggest you continue reading to learn exactly how to do it so you can enjoy a nice cold cup of coffee brewed using one of the easiest coffee brewing methods available. Cold Brew Coffee refers to the method of steeping coffee grounds in water that is cold or at room temperature for an extended period of time. This should not be confused with iced coffee, which is usually brewed hot and then poured over ice. Although sometimes cold brew coffee can also be served as iced coffee. Why Make Cold Brew Coffee? There are many reasons to make cold brew coffee. No matter what your opinion of coffee is and how you believe you should drink it, you have to recognize some of these reasons. Let’s take a look at them, shall we? Cold Brew Coffee is great in the summer months when the temperatures are soaring. It is a great way to use up older coffee that might taste stale if brewed hot. Cold Brew Coffee is perfect for mixing dairy products such as cream, milk or even ice cream. It is simply the easiest way to make coffee even if it does take a little longer. As you can see, there are many great reasons to make cold brew coffee. Even if you prefer your coffee piping hot, we here at Roasty Coffee suggest you at least give this a try so you can make a great summer coffee treat. Now let’s get started with our first cold brew coffee in a French Press. The process is pretty straightforward and honestly is easy compared to some hot brew methods out there. You will need a few things to get started. Here is a quick list for you to reference. 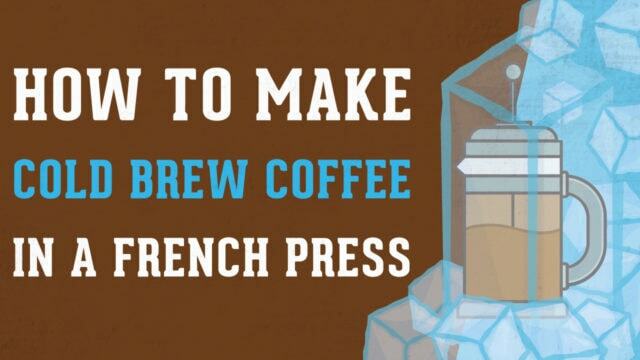 As you can see, what you will need to cold brew coffee in a French Press is nothing fancy. Chances are if you are a serious coffee drinker, you have all of these handy in your kitchen. Why is time on this list? You will see if you keep reading. Now that you gathered up everything you will need for this brew method. It is time to start measuring out your coffee. For this method, you will need to use more coffee than you use for a hot brew. If you don’t want to do math today, then just double the amount of coffee you use when you brew hot coffee in your French press. However, if you want to be a little more specific with your coffee, try going for a 7 to 1 ratio. That is seven parts water to one-part coffee. In order for you to be completely accurate, you will need to know the size of your particular French press. If you find that the coffee brewed using this ratio is too weak, you can try letting steep for longer instead of using even more coffee. If it is too strong, just cut down on your ratio. Test it out by dropping it only slightly and continue reducing it each time until you reach your desired flavor. Grab your grinder and grind your coffee. For cold brew coffee, a course ground is recommended. You can use a medium ground if you wish. Just remember that the finer the ground the stronger the coffee will be. Just like you would with a normal hot brew in your French Press, add your coffee to the bottom and then pour in your water. Your water can either be cold or room temperature, but filtered water is definitely preferred. Gently stir the coffee into the water. You want to make sure every ground is touching the water in order for it to properly brew, so stir the coffee and water slowly until all the coffee is mixed with the water. Here is where the time that I said you needed comes into play. Cold Brew coffee takes a long time. Once you mix the coffee and water, set it aside and allow it to steep for 12 hours. That’s right, I said 12. There is a debate on whether you should use brew your coffee on the counter or in your refrigerator. 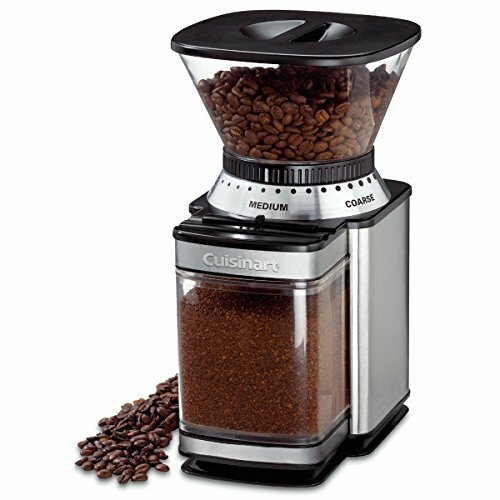 If it is at room temperature, it will brew faster, so you may be able to cut the brewing time down. If you are going to be away for longer than 12 hours, you might want to brew it in your refrigerator for the best results. Just like you would with your French Press, slowly press the plunger down. Go slowly with cold brew coffee and try to shoot for a full 30 second plunge for best results. If you have left over coffee in your cup, pour the coffee over a paper filter into your cup to catch any loose grounds. Now the time has finally come for the best part of the process. Enjoy your cold brew coffee. Try adding milk, cream or maybe some sweeteners to it for a cold, sweet drink that is perfect on a hot summer day. If you love cold coffee, then this is definitely the way to enjoy it. The process is easy and can be done by anyone regardless of their brewing experience. It is also a great way to expand your coffee tastes and it allows you to make a perfect cold brew coffee to enjoy on even the hottest days of the year.